This is one of those books that I feel I can recommend with absolutely zero hesitation. It’s entertaining, fun, adorable, suspenseful…you name it. It’s a little bit of a different read for me, as most of the books I read are YA romances of some sort, but I LOVED The Kneebone Boy. It’s just one of those sublimely pleasant books that you pick up, knowing you’re going to enjoy it. The Hardscrabble children are enchanting. They are funny, clever, brave, and at times extremely stubborn. I love different Lucia, Max, and Otto are from each other, and Ellen Potter does a masterful job of differing their characters and giving them solidly unique personalities. 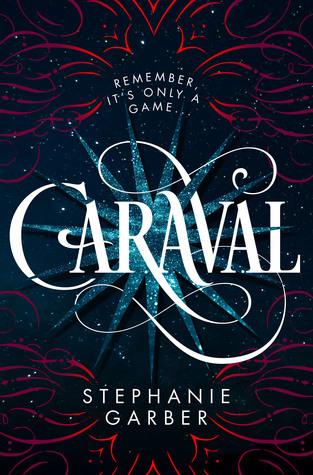 Chapter 9: In which the Harscrabbles worry about the title of this book and other things. Chapter 11: In which there are no vampires or ghosts but you’ll like this chapter anyway. I loved those chapter titles. They gave an idea of what was coming without giving too much away. “So we’ve come to the part of the book in which the Hardscrabbles begin to be less ordinary and more heroic. I wish it had come sooner, so you didn’t see us arguing about stupid things so much.” (167). It was just so cute. I found myself smiling through the majority of this book. Now, there was conflict. There was suspense and mystery, and it’s quite dark at times. I’ve only read one book in A Series of Unfortunate Events but The Kneebone Boy reminded me of that stylistically. Although it seemed happier. I was not expecting the twist at the ending. Quite clever in my opinion. This was one of those books that you don’t necessarily feel compelled to fly through, but it’s always a pleasure to pick up and read a chapter at a time. Highly recommended. 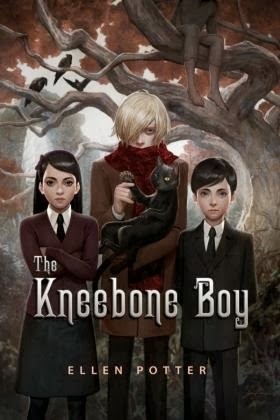 Enter to win a hardcover copy of The Kneebone Boy! This entry was posted in Book Reviews, Giveaways.